No other Huntington Beach Deck Repair Company is as committed as Prestige Deck Coating. We are southern California based, family company that understands leaking and damaged decks. Our complete and methodical installation and repair procedure shield your decks, steps, exterior floors, patios, roofs, and stairs from the ruthless winter rains year after year in Huntington Beach. Let me take you through our step-by-step process that protects your deck like no other Huntington Beach deck repair company. After the metal diamond lathe is secure our polymer modified concrete deck coating is spread evenly across the metal diamond lathe, forming a flawless foundation for your decking. Our Huntington Beach deck repair company offers 3 different types of anti-slip grip surfaces, giving you the choice to customize your deck coating to your preference. Our final step includes two coats of exclusive paint sealer, which not only makes your deck look nice, but gives your twice the waterproofing protection. 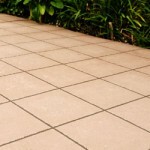 We offer 16 different colors making positive our deck resurfacing matches your home. Welcome the rain with Prestige Deck Coating, the premier Huntington Beach deck repair company!